Confident young people who recognize their competencies, who feel connected to people, and who have a strongly rooted character are poised to contribute to the world. Children and teens who take active steps to contribute will receive ongoing feedback and gain experiences that prepare them to thrive. Parents and communities who ensure ample opportunities for children to contribute will build the next generation of leaders. Contemporary culture is so focused on material things like electronic equipment, expensive shoes and clothes, cosmetics, and cars. Children naturally get swept up in this tide because they see it all around them. To counter this influence or put it in perspective, parents can support opportunities for children to give rather than receive. Children will learn that the universe doesn’t revolve around them or owe them everything they desire. When they raise money for earthquake relief, collect recyclables, or tutor younger children, they gain a more realistic perspective of the world and their places in it. They begin to see beyond their isolated, self-oriented circles. They recognize themselves as part of larger communities in which they can make a difference. 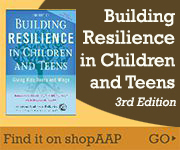 Contribution directly fosters resilience because it helps children gain a sense of purpose, something positive to strive toward and achieve.